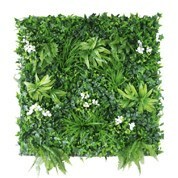 Keep it green all year round with this great range of artificial plants and flowers. Whether you want to keep your home looking zen, or you need to add some life to your office space, we have everything you need to create a relaxing and fresh environment. From indoor plants to rogue lemons, we have everything you need to complete your indoor space. Fill up your fruit bowl for fresh looking fruit all year round, and keep your office looking evergreen without the commitment. No matter what your aesthetic is, and no matter what your budget may be, we have everything you need all in the one place! When you shop with MyDeal, you can expect nothing but great quality items at an affordable price. It shouldn’t have to cost you an arm and a leg to get your hands on some beautiful year-round greenery, and when you shop with MyDeal, it won’t have to. We ship our items across the entire country, so no matter where you’re located in Australia, we can have your items delivered directly to your doorstep. Heaps of our items are eligible for free shipping, so you can sit back and relax, knowing that we are taking care of your every need. Are you still curious about MyDeal, or any of the home and garden products that we have on offer? Please don’t hesitate to give our friendly customer service team a buzz on (03) 9998 6805 during business hours. Alternatively, you can give our helpful articles a read, which can help answer any questions that you may have. Happy shopping!